This study is a reinterpretation of nineteenth-century Mexican American history, examining Mexico's struggle to secure its northern border with repatriates from the United States, following a war that resulted in the loss of half Mexico's territory. Responding to past interpretations, Jose Angel Hernandez suggests that these resettlement schemes centred on developments within the frontier region, the modernisation of the country with loyal Mexican American settlers, and blocking the tide of migrations to the United States to prevent the depopulation of its fractured northern border. 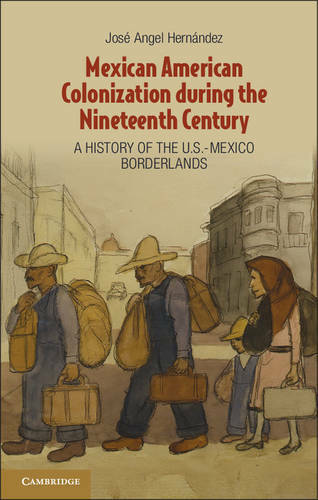 Through an examination of Mexico's immigration and colonisation policies as they developed in the nineteenth century, this book focuses primarily on the population of Mexican citizens who were 'lost' after the end of the Mexican American War of 1846-8 until the end of the century.